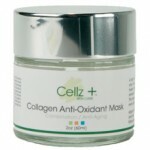 This aloe vera hydrating mask contains chamomile extract, sodium PCA and panthenol for healing and rehydrating the skin. This mask will help restore the skin’s natural moisture while giving the skin a cool and refreshed feeling. Excellent to use after any chemical treatment.